This post from Oct. 24 was amended on Oct. 25 to add the map and reference to David Roberts’ Vox post on the Trudeau carbon pricing plan. The government of Prime Minister Justin Trudeau yesterday announced a national carbon pricing plan that it hopes will yield annual CO2 emissions cuts of 50 to 60 million metric tons by 2022, around a 10 percent drop from Canada’s current emissions. The plan employs a national carbon price benchmark of $20 (Canadian) per metric ton beginning next year, rising by $10/tonne per year to reach $50 in 2022, according to tables published by the Canadian Department of Finance. Factoring in the 9.3 percent lesser weight of a short ton vis-a-vis a metric ton and the 23 percent lesser value of a Canadian dollar vs. a U.S. dollar, the price trajectory in U.S. terms is $14 per (short) ton, rising by $7/ton per year to reach $35 in 2022. 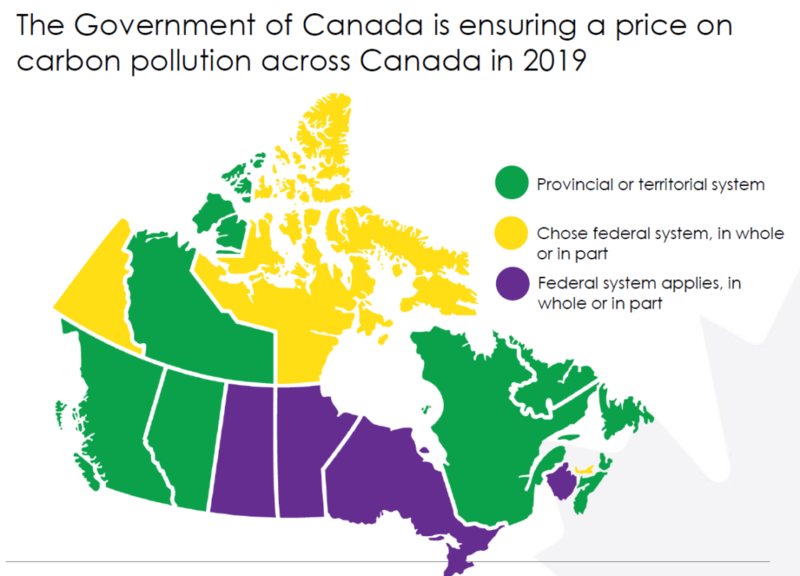 Map from Canada’s Ministry of Environment & Climate Change outlines Ottawa’s three-prong approach to bring all provinces within a common carbon price. 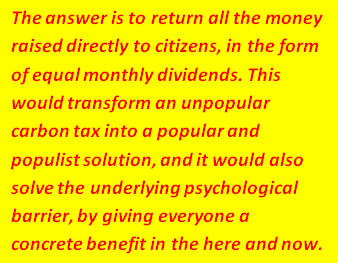 Perhaps the most innovative element of the plan is the “return” of virtually all of the carbon revenues as dividends to households rather than using the monies to pay for tax swaps or green investments. 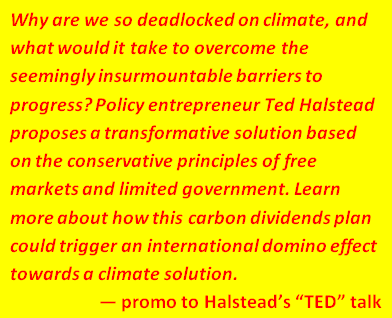 The plan thus embodies the fee-and-dividend idea long espoused by Citizens Climate Lobby and more recently re-branded as carbon dividends by the Climate Leadership Council, the group fronted by retired Republican officials James A. Baker III and George Shultz. The dividends, called “climate action incentive payments,” will be provided annually to federal-taxpaying households by the Canada Revenue Agency. Residents of small communities and rural areas get a 10 per cent revenue supplement “in recognition of their specific needs” — presumably, higher fuel needs for heating and driving. The dividend amounts will vary by province, presumably with individuals and families of high-carbon provinces receiving larger payments. Carbon pollution is not free. Canadians see its effects when extreme weather threatens their safety, their health, their communities, and their livelihoods. They pay for it in the form of structural repairs and higher insurance premiums, food prices, health care costs and emergency services. Climate change is expected to cost Canada’s economy $5 billion annually by 2020. 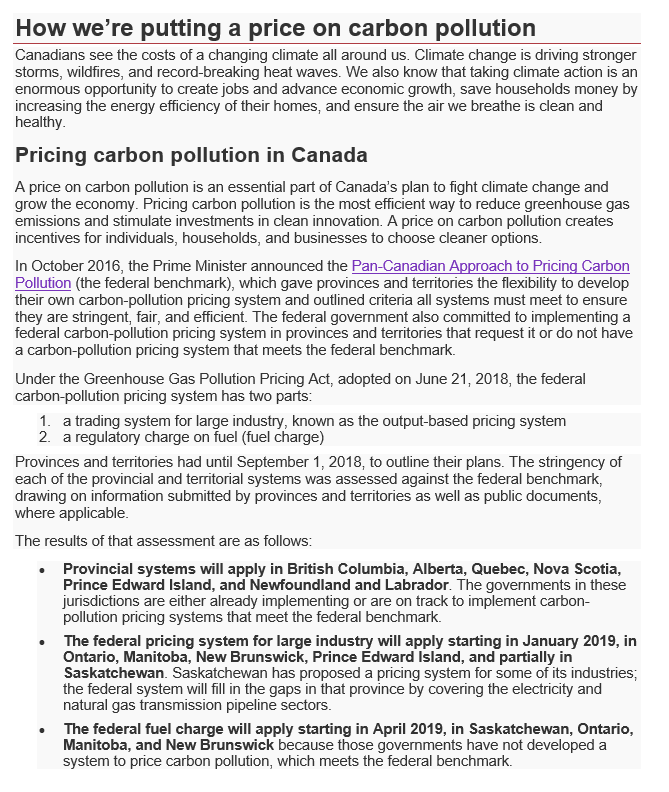 Several Canadian provinces have already implemented carbon pollution pricing, via a tax (British Columbia) or permit systems via cap-and-trade (Quebec, Ontario, most of the Maritime provinces). The fuel levies published this week by the Trudeau government will now undergo a consultation process expected to last at least several months. Carbon pollution pricing is the most effective and efficient way to reduce the greenhouse gas emissions associated with climate change. Carbon pollution pricing delivers economic benefits because it encourages Canadians and businesses to innovate, and to invest in clean technologies and long-term growth opportunities that will position Canada for success in a cleaner and greener global economy. Once in place, carbon pollution pricing could cut Canada’s greenhouse gas emissions by 50 to 60 million tonnes [metric tons] in 2022. Screenshot from Dept of Finance materials released yesterday as part of Canada’s carbon price policy rollout. Link is at bottom of post. By 2022, annual carbon revenues under the plan could be as much as $27 billion (Canadian) or $21 billion (U.S.), although exemptions for trade-exposed energy-intensive sectors and for aviation fuel used in indigenous communities might reduce those figures. The plan is a daring gambit for PM Trudeau, as David Roberts of Vox explained in a post today, Canadian Prime Minister Justin Trudeau is betting his reelection on a carbon tax. The Canadian government’s embrace of household dividends could also provide a shot in the arm for dividends advocates in the U.S., whose credibility has faltered as Congressional Republicans have disdained the supposedly GOP-friendly dividends approach. This morning, Thomas Friedman, a leading champion of bipartisan climate action among U.S. pundits, called on readers of his New York Times column to “vote for a Democrat, canvass for a Democrat, raise money for a Democrat, drive someone else to a voting station to vote for a Democrat” in the midterm elections. Press release from office of Prime Minister Trudeau (with links to details). Materials on carbon pricing from Canada’s Ecofiscal Commission. As a companion piece to our post earlier this week, IPCC: Not just a carbon price, but a really high one, we reprint a post last week from the University of Gothenburg (Sweden), on the award of the 2018 Economics Nobel Prize to William D Nordhaus, Yale University, New Haven and Paul M Romer, NYU Stern School of Business, New York, USA. We’ve edited it slightly for readability. These are two very well-deserving winners, according to Thomas Sterner and Ola Olsson, professors at the School of Business, Economics and Law at the University of Gothenburg. Their research generates knowledge about what type of policies should be pursued in order to solve the global climate problem and at the same time give people a decent standard of living. Nordhaus was a pioneer and defined the climate issue as an important research field that he focused on in many fundamental articles in leading journals. In a way, he should have won the Nobel Prize a long time ago. 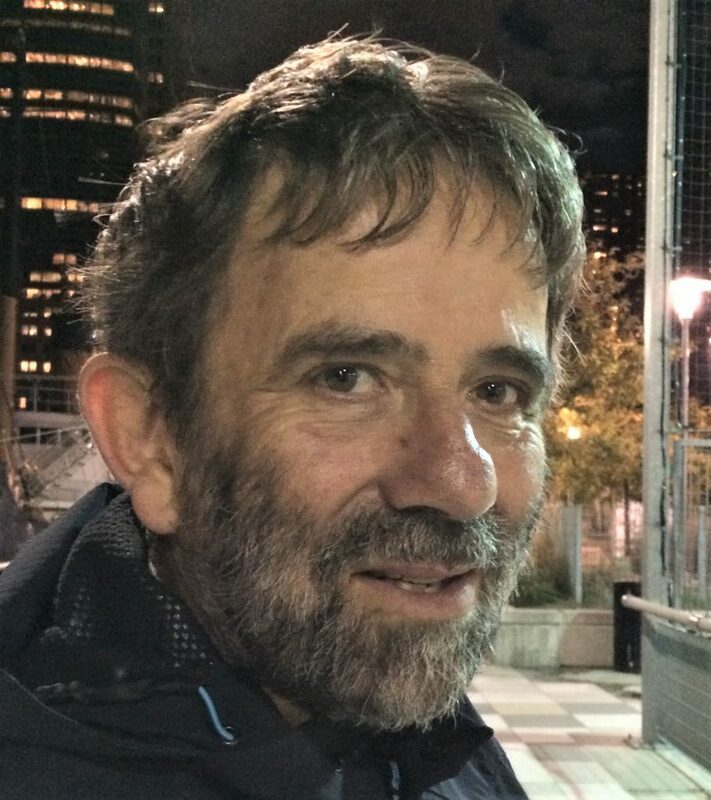 Thomas Sterner, photographed by the author in NYC in 2014, says William Nordhaus’s Nobel was overdue despite concerns about his work. William D. Nordhaus was one of the first economists to include the climate in economic growth models. His so-called DICE model has become somewhat of an industry standard among both supporters and critics. The model (or the family of models it has led to) has been the centrepiece of intense discussion regarding assumptions, results and recommendations. In his articles, Nordhaus arrives at scenarios with a rise in temperatures of 3.5°C by the year 2100 (and a continued increase thereafter) as being optimal. Admittedly he discusses several scenarios and as a good scientist has several caveats about unexpected non-linearities etc. The choice to label the 3.5°C as optimal is still unfortunate. This is in stark contrast to the IPCC report that was published today, which advocates attempts to stick to the Paris agenda’s lower goal of 1.5°C rather than 2 °C. So, Nordhaus is not even close to these goals and considers 1.5 degrees totally impossible. About the 2-degree goal, he writes that it will not be possible to achieve “without negative emissions by the middle of this century,” something Nordhaus probably considers to be out of the question. 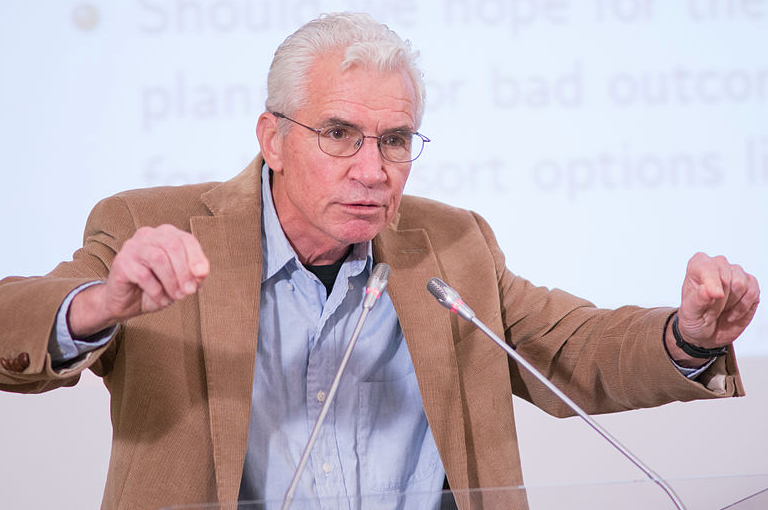 Paul M. Romer’s model of endogenous economic growth has been central in research ever since his most important article was published in 1990. Romer shows how technological progress can be integrated into the analysis of long-term economic growth. The issues analyzed include how private companies can produce technological ideas despite the fact that these ideas often can be described as so-called public goods that anyone can use. “Romer’s research complements Nordhaus’s in a very interesting way,” Sterner said, “since he has studied the mechanisms that drive economic growth and that are utilized to improve macroeconomic models like DICE, in which Nordhaus has integrated a climate economics module. Romer emphasizes the importance of endogenous growth that is based on ideas and research. This is precisely the type of research that will be needed to make the technological development more sustainability oriented,” said Sterner. Carbon pricing is catching on around the world, but only at “a snail’s pace,” and carbon-pollution prices remain far too low to make much of a dent in emissions, says a new report from the Organization for Economic Cooperation and Development. Effective Carbon Rates 2018: Pricing Carbon Emissions through Taxes and Emissions Trading reports that the “carbon pricing gap” — the amount that current carbon prices lag an admittedly low benchmark price — shrank from 83% in 2012 to an estimated 76.5% this year. The figures cover 42 countries with advanced economies and account for 80% of all carbon emissions. We added the pull quote shown above. The OECD report articulates the economic and geopolitical case for carbon pricing even as it documents the hesitant pace of progress. 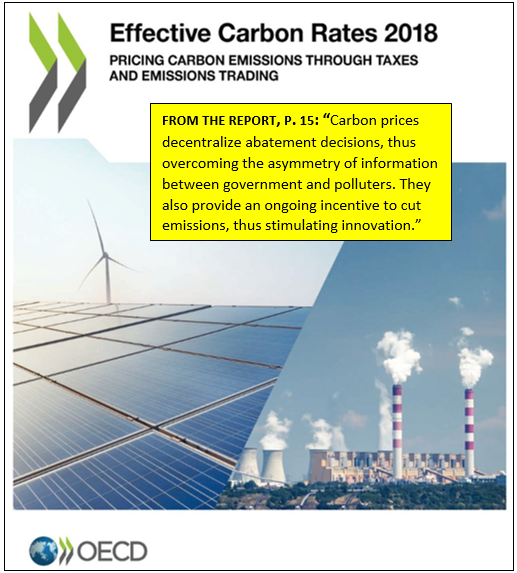 The report compares that rate to the revenue that would be raised with economy-wide carbon prices at benchmark levels of 30 or 60 euros per metric ton (about $35/$70US at current exchange rates, or $32/$64 per “short” ton). The report didn’t count the impact of fossil fuel subsidies that lower market prices of carbon fuels, though these tend to be fairly low in the 42 countries studied. For individual countries, the carbon pricing gap — the distance between actual pricing and the €30/tonne benchmark — ranges from 27% to 100% in 2015, the latest year for which complete individual-country data is available. The US, with a gap of 75%, ranked 31st among the 42 countries studied. Top rankings go to Switzerland (27%), Luxembourg (30%), and Norway (34%). Schematic from OECD report. The bottom category, specific taxes, is most countries’ primary contributor to the effective carbon rate. The report is upfront about its benchmark’s limitations. The World Bank–affiliated High Level Commission on Carbon Pricing warned last year that carbon prices must range from $40 to $80US per tonne by 2020 and $50-$100/tonne by 2030 to meet the emission targets of the Paris Climate Agreement. (And remember that those goals are almost universally regarded as too low.) Moreover, the 30 euro benchmark falls below even the bottom of the 2020 range. And advanced economies — which most of the countries studied are — should err toward the high end of that range, according to the Commission, to leave room for developing economies to reap at least some of the fruits of industrialization. Applying a more realistic 60€/tonne benchmark (about $64US per short ton) casts the pricing shortfall into even sharper relief: under that benchmark the 2015 US gap would be 88%. 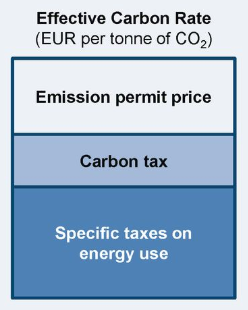 Perhaps surprisingly, the largest of the three contributors to OECD’s effective carbon rate is neither explicit carbon taxes nor tradeable carbon emssion permits, but taxes on specific fuels, especially in road transport. 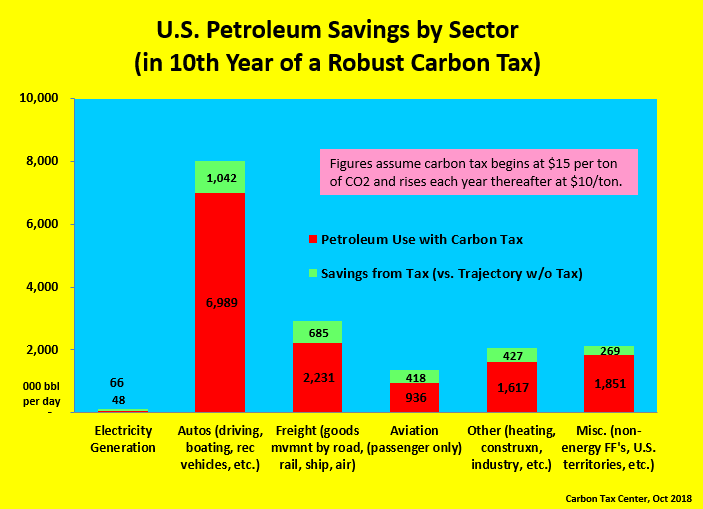 European countries, especially, began taxing gasoline and diesel fuel at high rates decades ago, not as a climate measure but to reduce car dependence in urban areas, to help rail and other public transit maintain market share, and to fund social programs. Years later, those taxation policies are now, properly, being recognized for their role in protecting climate as well. If you’re not shaken by Trump’s repudiation of the Paris Climate Agreement yesterday at the White House, you’ve wandered into the wrong Web site. Those “individual nationally-determined commitments” whose sum is, or was, the Paris agreement may be woefully insufficient to stop climate ruin; yet reaching the agreement was an enormous step forward, marking the time the world began moving in concert, if haltingly, toward capping, reducing and eliminating climate-destroying emissions. It wasn’t because of the climate, or to help American business. He needed to troll the world — and this was his best shot so far. Trump’s abrupt withdrawal from this carefully crafted multilateral compromise was a diplomatic and political slap: it was about extending a middle finger to the world, while reminding his base that he shares its resentments of fancy-pants elites and smarty-pants scientists and tree-hugging squishes who look down on real Americans who drill for oil and dig for coal. 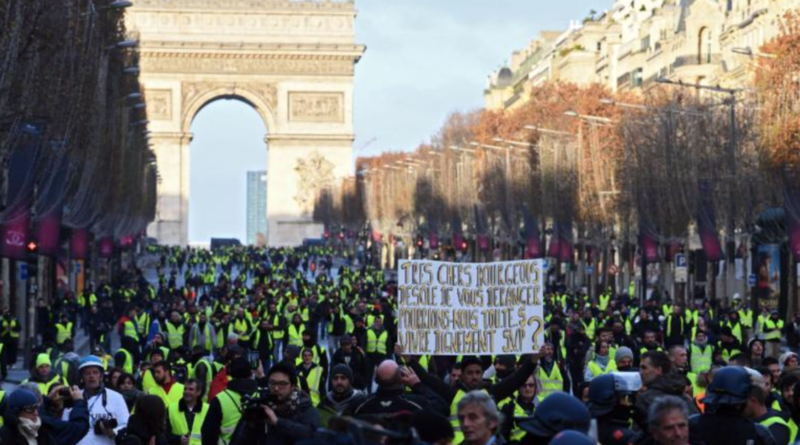 The real triumph of Paris wasn’t America’s promises; it was the serious commitments from China, India and other developing nations that had previously insisted on their right to burn unlimited carbon until their economies caught up to the developed world. As Donald Trump does his best to destroy the world’s hopes of reining in climate change, let’s be clear about one thing: This has nothing to do with serving America’s national interest. This isn’t about nationalism; mainly, it’s about sheer spite. Pay any attention to modern right-wing discourse and you find deep hostility to any notion that some problems require collective action beyond shooting people and blowing things up. But it’s not just science that [Trump is] blowing up. The Paris accord was a high achievement of the diplomatic art, a process much messier than science, and inevitably involving compromise and unseemly concession. 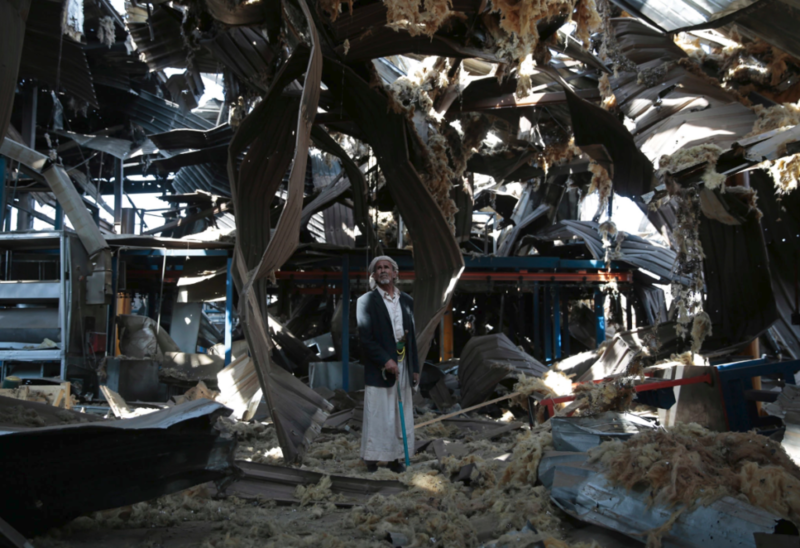 Still, after decades of work, the world’s negotiators managed to bring along virtually every nation: the Saudis and the low-lying Marshall Islanders, the Chinese and the Indians. One hundred and ninety-five nations negotiated the Paris accord, including the United States. 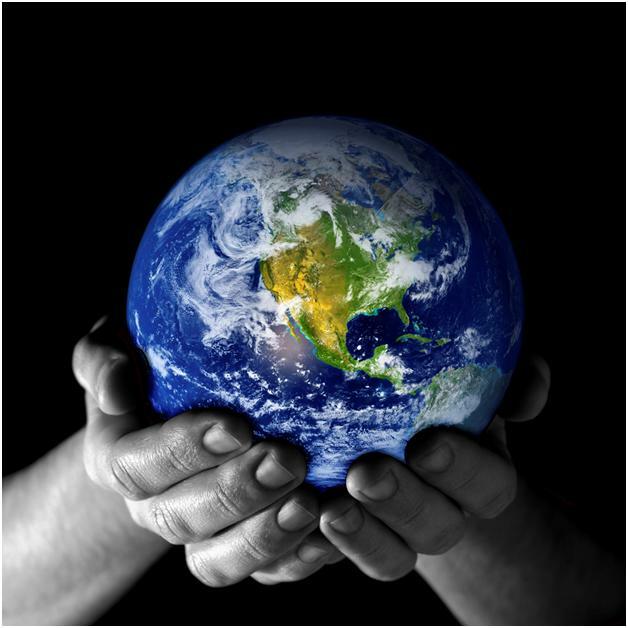 The changes [committed to at Paris], and similar ones agreed to by other nations, would not have ended global warming. They were too small. But the hope of Paris was that the treaty would send such a strong signal to the world’s governments, and its capital markets, that the targets would become a floor and not a ceiling; that shaken into action by the accord, we would start moving much faster toward renewable energy, maybe even fast enough to begin catching up with the physics of global warming. There are signs that this has been happening: The plummeting price of solar energy just this spring persuaded India to forgo a huge planned expansion of coal plants in favor of more solar panel arrays to catch the sun. China is shutting coal mines as fast as it can build wind turbines. The hallmark of tribalism (a term I prefer to “nationalism,” as it gets at the deeper roots) is that it views the world in zero-sum terms — if one tribe benefits, it is at another tribe’s expense. As has been much remarked (see my post on Trump’s mindset), this describes Trump to a tee. He views all interactions, both personal and international, in terms of dominance and submission. Tribalism has also entirely subsumed the US conservative movement. The intellectual core has all but rotted; what remains are older, rural and suburban white men and their wives, angry that their tribe is being demoted from its hegemonic position. At a barely beneath-the-surface level, Trumpism is about restoring old hierarchies: the powerful over the powerless, whites over minorities, men over women. 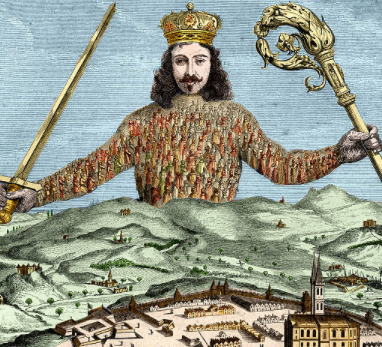 A zero-sum perspective is inherently hostile to collective agreements and treaties. It can only see such agreements as attempts by the weak to bind and restrain the strong (a theme that popped up again and again in Trump’s announcement on Paris). Trump was inclined to see things that way already, no matter what he was told. That is the backdrop to Trump’s decision. 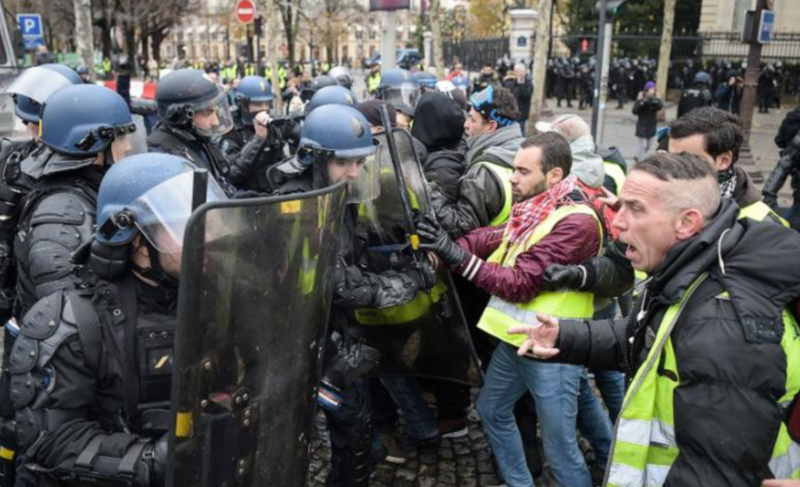 It’s not that Paris particularly constrained him — it didn’t constrain him at all, actually — but the very notion of committing to collective action bothered him (and Steve Bannon). From his perspective, the US has tons of fossil fuels, and that gives the US power. Voluntarily reducing dependence on fossil fuels threatens US dominance. Trump doesn’t just want that dominance — he wants to signal it, to shove it in other countries’ faces. Staying in the agreement, even if it was substantively meaningless, didn’t send the right signal. Maybe it was the McKibben passage I put in bold that led me to call out my own mayor, NYC’s Bill de Blasio, for his transportation hypocrisy, on a radio call-in this morning. (Watch this space next week, for details.) A small step, to be sure, but I intend to take another tomorrow, and the day after, as I know you will as well. This post, which I co-authored with Josha MacNab of the Pembina Institute, appeared in The Hill last week in slightly altered form. — C.K. Against the backdrop of a Trump administration seeking to drag the United States’ economy back to the coal age, Canada’s clean growth strategy is a breath of fresh air. Now more than ever, Canada needs to continue to innovate on decarbonizing its economy, and a central plank of that strategy is putting a price on carbon pollution. British Columbia’s groundbreaking 2008 carbon tax introduced carbon pollution pricing to the Western Hemisphere. With 86% of Canada’s population now covered by a carbon price, and 100% to be covered by 2018 under the national benchmark, our country is well-positioned to be an international beacon of progress and a major competitor in the clean global economy. Here are four big reasons Canada should strengthen its resolve to move forward on carbon pollution pricing. Given the effectiveness of carbon pricing in reducing climate-damaging emissions, it should come as no surprise that 25% of global carbon pollution is already or about to be covered by a carbon price. That represents over 40 countries, including seven of the world’s 10 largest economies. 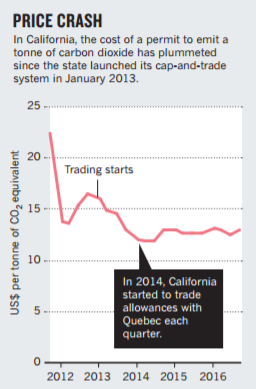 China has already piloted cap-and-trade in 5 provinces and 2 cities, making it the second largest carbon market in the world, after the European Union. Later this year China’s carbon pollution market is expected to go national, making it the world’s largest. Carbon pollution pricing is now a maintream approach and Canada is positioned to demonstrate how to do carbon pollution pricing well. The global clean tech market is currently worth $1.15 trillion and expected to more than double to $2.5 trillion in 2022, according to Analytica Advisors. Yet Canada’s share of this vital pie is shrinking (from 2.2% to 1.3% of the market over the last 10 years) as other countries outpace us in clean tech development. Carbon pricing is one of the tools clean tech entrepreneurs cite as key to supporting innovation. By moving forward on carbon pricing and other clean growth policies, Canada can catch up and be positioned to take advantage of growing and shifting global market opportunities. Currently, 23% of Canadian clean tech exports are destined for non-U.S. markets, but this share is anticipated to increase to more than 30% in the next four years. Identifying and mitigating competitive disadvantages must be a priority for Canada to ensure that pricing carbon pollution doesn’t result in carbon leakage and doesn’t adversely impact the economy. Canada’s Ecofiscal Commission estimates that around 5% of Canada’s economy (with variation between 2-18% depending on the province or territory) could be subject to competitiveness impacts if the country has a higher carbon pollution price than jurisdictions with whom we trade. Craig Alexander, chief economist at the Conference Board of Canada, recently argued that competitiveness impacts would be less than 0.15% of GDP and not a justification to delay. Where impacts are felt, carbon leakage issues can be addressed by the design of the pricing framework. Any measures taken to address competitiveness concerns for emissions-intensive, trade-exposed sectors should maintain the incentive to reduce pollution, as well as be targeted, transparent, consistent, temporary and simple. Along with some 140 other countries, Canada committed 18 months ago in Paris to do its part to reduce carbon pollution sufficiently to stay well below 2 C of warming. In order to achieve that goal, government has two main levers with which to shift to a lower-carbon economy: pricing and regulation. 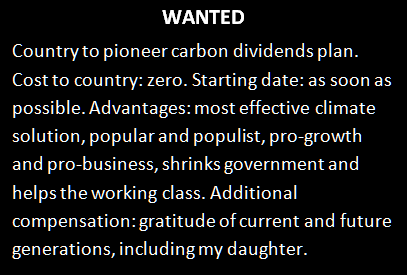 As a market-based mechanism — with support from both ends of the political spectrum — carbon pollution pricing sets the rules of engagement and lets the market pick the most efficient and effective ways to grow the economy. It supports innovation and ensures that those technologies and solutions that deliver the best results are the ones that thrive and go on to be competitive exports to a rapidly decarbonizing global economy. With the U.S. waffling on its commitment to the Paris Agreement, it’s more important than ever for Canada to step up to be a global leader and demonstrate that addressing climate change is how we will build a strong economy that can weather the storms to come. 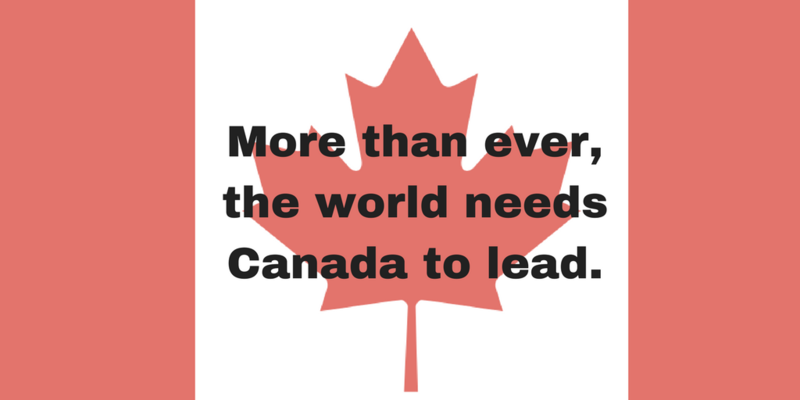 Josha MacNab is the British Columbia director at the Pembina Institute, Canada’s leading clean energy think-tank. Charles Komanoff, an economist, is the cofounder and director of the New York-based Carbon Tax Center.